Looking for Hard Hats and/or Hard Hat Safety Information? Texas America Safety Company offers important information about our full line of safety hard hats. Hard Hats are an extremely important and a very personal safety item. We want to offer as much information as possible; as well as, a wide assortment of hats, so you can find the perfect hard hat for your safety needs. If you want to stay safe, you need a hard hat. 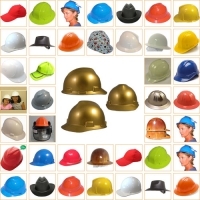 Our selection of hard hats is diverse, so you should have no trouble finding what you need. On this page, there are seven different categories that you can use to sort our inventory. If you’re looking for a specific color, you can sort our selection and search based on color. 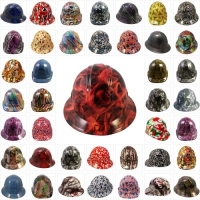 Want to search for hard hats based on a specific design? Or, search for your favorite team hard hat. We have a category that allows you to do exactly that. Many consumers prefer to purchase safety products from a favorite supplier, and if this describes you, then you can sort our selection of hats based on the supplier. Check it out, there are a ton of hats to examine. 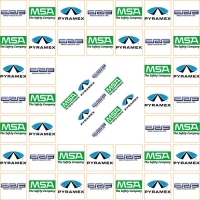 Once inside our supplier category, find hats from Skullbucket, Pyramex, MSA and ERB. 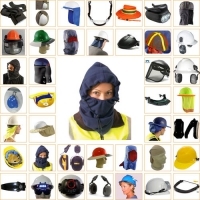 Our category for hard hat accessories will allow you to browse our wide selection of useful accessories. 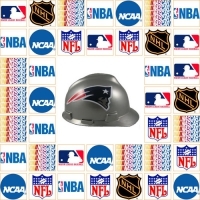 If you’re feeling patriotic, we have a category for team hard hats, so you can show love for your favorite team. 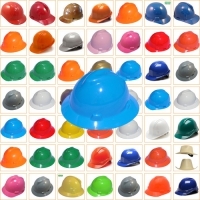 You can even sort our selection based on hydro dripped hard hats or have your hat customized with a logo or name. Since we have such a large selection of hard hats, we’ve created this page to make it easy to sort our selection and find what you need. Many different risks and hazards can be associated with working in construction, agriculture, and industry. Some of the risks you might run into include chemicals, objects falling, loud noises, and sharp objects. OSHA requires businesses to help workers avoid these risks by gearing them up with the proper safety equipment. Just because there are procedures and safety practices in place does not mean that workers will avoid all of the hazards they might have to deal with. This is why they are provided with personal protective equipment. The type of equipment and degree of protection offered to an employee will vary depending on what they will handle in their job. In many industries, the concerns when it comes to safety are potential falls, fire, and falling debris. This shows you why most companies have invested more money into things like fire extinguishers, smoke detectors, flame detectors, gas monitors, work boots, and clothes that are fire resistant. The hope is that if they invest in these different safety devices then they will have fewer accidents to deal with. While most of the problems in industry come from falls and blowouts there is still a major concern about injuries related to falling objects, heavy loads, sharp objects, and falls from heights. The shifts on an oilrig, for example, are usually 12- to 14-hour days and can cause employees to give in to fatigue. Climbing the rigs can be very dangerous because someone can slip or drop an object that could fall and hit someone that is below them. This is where hard hats come into play. These hats can help to reduce the severity of an injury when an accident does occur. If a company wants to avoid head injuries, they will have to equip their employees with the right type of hardhat. OSHA and the CSA follow the requirements laid out by the ANSI z89 and CSA Z94 specifications when it comes to the safety features, comfort, functionality, and reliability of hard hats. There are two different types of hats and they offer different types of protection. Type I hats give workers aerial protection from falling objects and Type II hats give workers both lateral and aerial protection from falling objects. Type II hats are larger and warmer for the employee and therefore give them more protection from falling objects than Type I. On the other hand, some sites require that workers have a lighter weight hat for comfort. Choices include a Hard Hat-MSA V-Gard, a Moisture Wicking Sweat Beanie Hat, or an MSA Skullgard-full brim hat. When it comes to protecting the head best your company might also want to consider the suspension of the hat. This is the inner frame that will spread and absorb the impact of a falling object. Hard hats that have four, six, or eight points will absorb the impact of a falling object better. The higher the number of points you have the more your hard had will absorb the impact, so the safer it is for you. If the suspension points are higher, your hat will also be more comfortable. 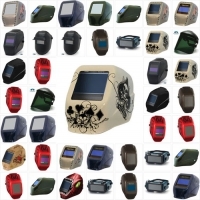 Some industries with higher chance of electrical hazard will want to consider dielectric caps that offer sufficient protection against electrocution, burns, and shocks. Another consideration of the hat when it comes to comfort is the size of the inner frame. The size of the inner frame allows you to customize the hat to the specific user and allows you to deal with various different conditions you might encounter on the job. The size and adjustability are determined by ratchets, pins, sliding bands, and lock tabs. Good hats give you the option of adjusting the hat many different ways if you need to. 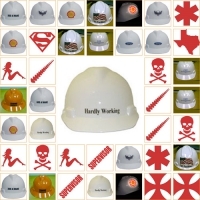 At Texas America Safety Company we offer a huge range of hard hats for your business. Browse our hard hats here, and get in touch with us on any questions regarding customization, imprinting, and OSHA hard hat regulations.